This is the first time Ive taken Healthy Prostate & Ovary (Healthy Prostate & Ovary) but so far it has been doing what it says it will do. I should know more after 30 to 60 days. 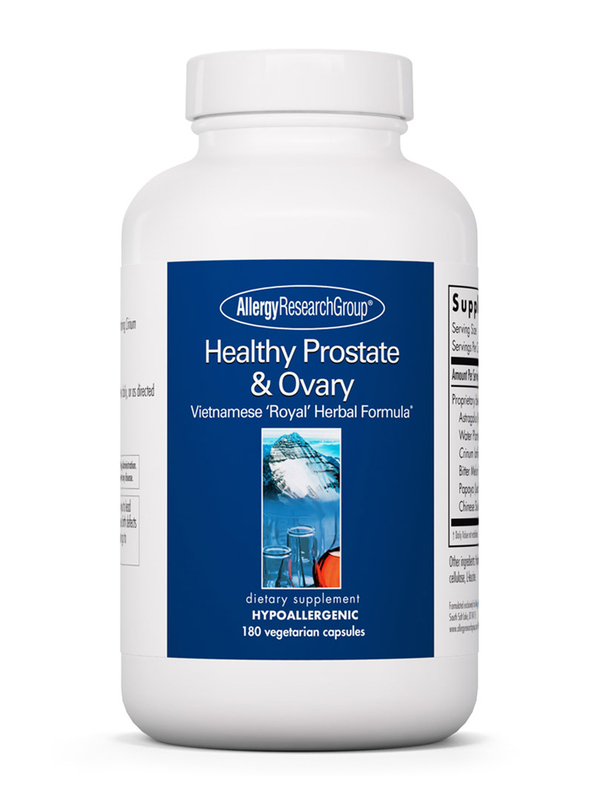 Healthy Prostate & Ovary by Allergy Research Group contains a proprietary blend of herbs that have been used in traditional Chinese and Vietnamese medicine for their potential to aid in maintaining the healthy functioning of the ovaries (in women) or prostate (in men). For example‚ Healthy Prostate & Ovary provides crinum latifolium‚ which is an herb that may help address certain symptoms associated with benign prostatic hyperplasia (BPH). BPH—a condition that leads to an enlarged prostate—is relatively common as men age and may lead to difficulty urinating. Crinum latifolium may also have the potential to support general health in women. According to proponents‚ this herbal extract may work to alleviate certain symptoms associated with mild polycystic ovary syndrome (PCOS). 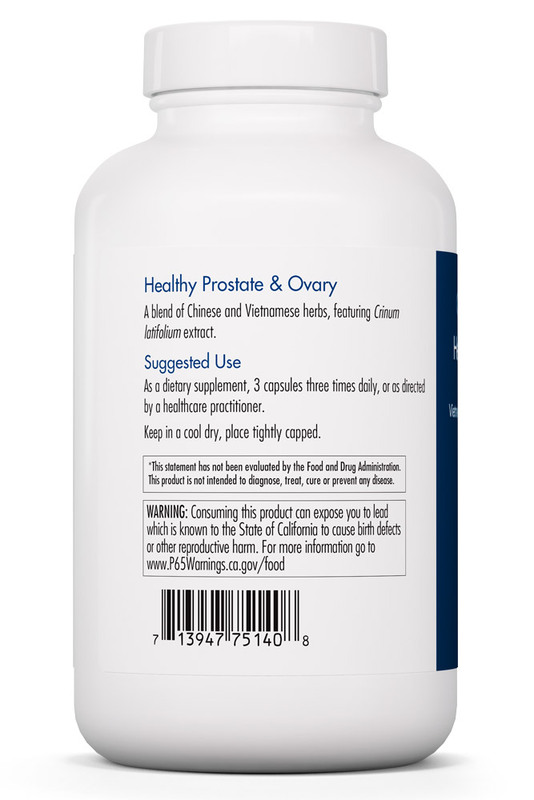 In addition‚ Healthy Prostate & Ovary provides other herbs like astragalus root. 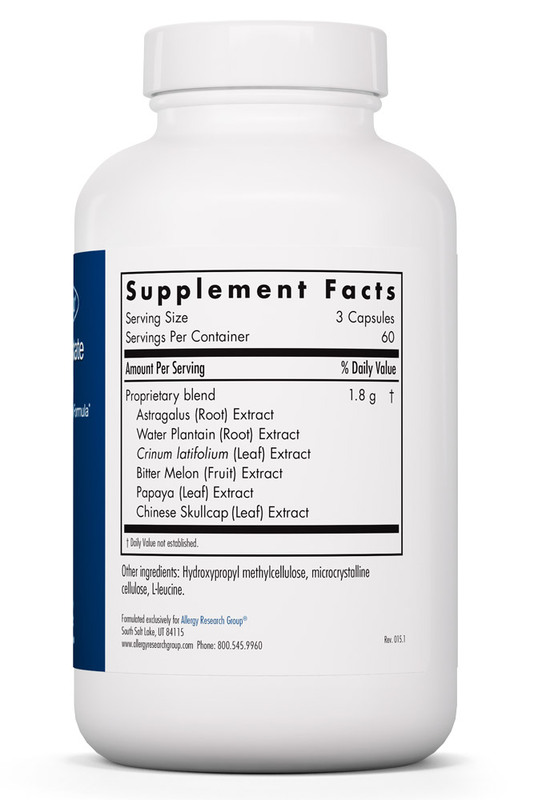 Astragalus is an adaptogen‚ which means that it may promote an overall sense of well-being by helping your body cope with mild stress. Take three capsules three times daily. 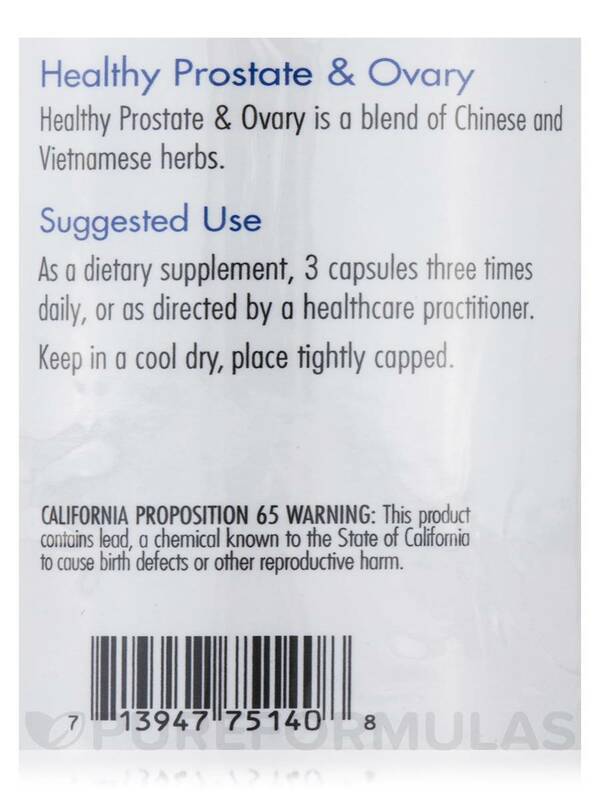 At the recommended dosage‚ each 180-capsule bottle of Allergy Research Group’s Healthy Prostate & Ovary should last for about 20 days. 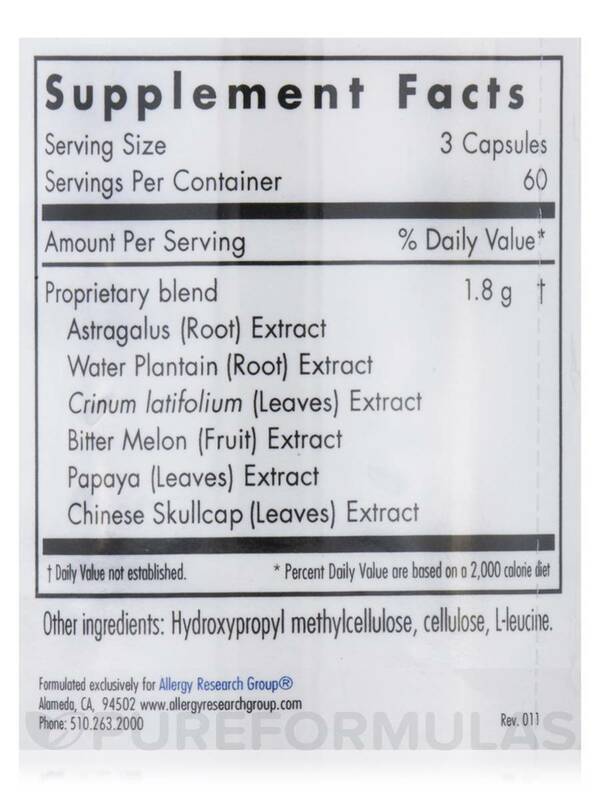 Astragalus (root) extract‚ water plantain (root) extract‚ crinum latifolium (leaves) extract‚ bitter melon (fruit) extract‚ papaya (leaves) extract‚ Chinese skullcap (leaves) extract. Ive only been taking this product for a little over a week and Ive been able to stop two other products that Ive been taking for over two years. So far so good. No dislikes at this time.